Hm... The scan I used is very nice and sunny, but I wanted to make it look sadder. I added different textures to make it grunge . 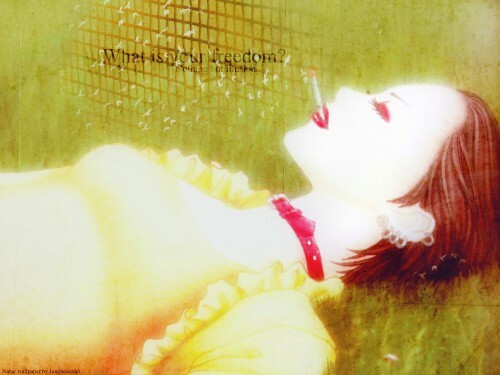 White birds near the cigarette symbolize smoke , well they are supposed to do it ^_^"
I really wish this manga would begin again, I miss it so much!